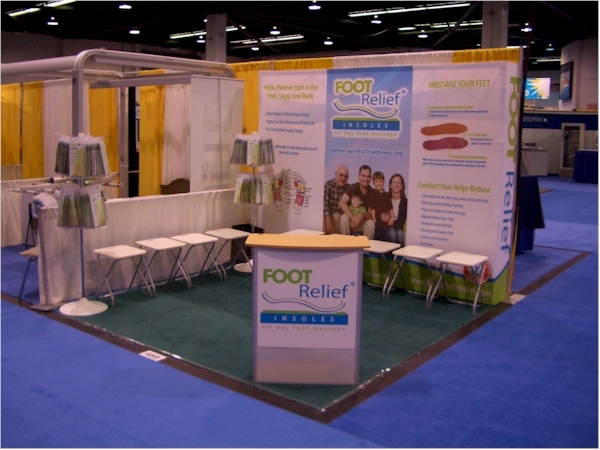 Join the Independent Distributor Program: Become an Independent Distributor / Reseller of Foot Relief Insoles and earn some of the highest profits in the industry. You can earn up to 4X your investment per pair or more! 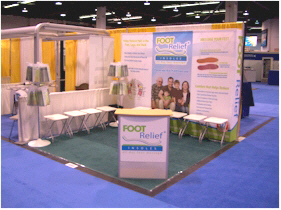 Resell our popular insoles at your own store, fairs, tradeshows, mall kiosks, or any place people are walking. As an Independent Distributor you receive a personal distributor website and login to your personal online distributor center. You get sales notifications when you refer a sale and Weekly/Monthly commission reports all in your email. Click Here to Become an Independent Distributor! Your Customers are Linked to You for LIFE! Join the Affiliate Program and with one click you will be able to refer your friends, family, co-workers, and visitors to your existing social media sites, or your own website. Once you create your Affiliate Account and login, you will realize how easy it is to refer new customers and affiliates. We value 'word of mouth advertising' so much that we've put together a generous online affiliate (referral) program. Every time you refer a customer our way, we'll pay you 20 percent of the sale as a thank you. We also pay you 5 percent on the sales of affiliates you invite to join our referral program. As a registered Affiliate you can track your traffic, leads, sales, affiliate referrals and commissions right from your own affiliate control panel. We pay you referral bonuses on all sales directly by using your PayPal or Zelle email address on the 15th of the month for all approved sales. You may already have a large following of contacts on FaceBook, Twitter, InstaGram or direct contacts you see every day. Now you can just login to your affiliate control panel and send a tweet, post, or email with your payment link already imbedded and it takes less than a minute to become an Affiliate. Why not turn that free word of mouth advertising into cash! Your friends, family and colleagues will thank you, and you get paid!